The value of Bitcoin, which is now well over $CAN 20,000 (it was just over $CAN 8,000 less than a month ago) depends entirely on electrical power: precisely, the power to solve a brute-force computational puzzle faster than everyone else. Does it then follow that whoever owns the power plant owns the future of the currency? Of all the news gripping news consumers in China, one of the stories not getting top-drawer attention is Canada’s effort to be the first G-7 country to do a bilateral trade deal with the People’s Republic. So says an avid and copious consumer of Chinese news and pop culture whose opinion I respect. She laughs when she notes the prominence of this story in Canadian media compared with its near-total absence in Chinese media. Nobody cares about Canada, it seems. I am used to that so it doesn’t bother me at all. What I want to talk about is how Canada can play a power role in China, literally. A power role that involves money, potentially huge money. If we can play that role, I really don’t care if the media doesn’t notice. Imagine: Bitcoin blocks being solved by Chinese miners running on clean nuclear power from Canadian-designed reactors running on recycled and reprocessed fuel. Could China conceivably ever conclude that it is to its advantage as a growing and ambitious geopolitical force to continue to play a central role in global currency? If it ever did, and if Bitcoin continues its spectacular upward climb in both value and usage and begins to represent a serious percentage of global transactions, China would need massive additional amounts of electricity, over and above the absolutely gargantuan amounts it already needs to just bring large restive parts of its population out of poverty (something it must do or else). And if it ever did that, it would need to build many, many more nuclear power plants than it is already building. The Ministerial Dialogue on Clean Energy will be chaired by Natural Resources Canada and the National Energy Administration of China. It will provide a forum to facilitate clean energy solutions, including the transition from fossil energy to cleaner fuels, such as nuclear, renewables and natural gas. Canada and China will seek ways to expand our energy trade (including liquefied natural gas), as well as accelerate commercial progress in our nuclear energy sector, including through the joint development of the Advanced Fuel CANDU Reactor in China and third country markets, and the expanded trade of uranium. Why “somewhat surprising”? Because the passage contains a rare bit of realism, in that it put nuclear first in the litany of putative cleaner fuels. And then followed up by actually mentioning the Advanced Fuel CANDU, a nuclear reactor fueled with recycled light water reactor actinides blended with depleted uranium so as to bring fissile content into line with that of natural uranium. Those who parse the utterances of politicians so as to weigh the relative significance of this word or that phrase or that inflection will note that for this Canadian government to mention nuclear in any kind of favourable way is—how shall I put it—incongruous. Regardless, it is very wise to contribute realism when discussing economic matters with the representatives of the world’s biggest economy, and I applaud our government for doing so. Canada has sold two CANDUs already to China. Nuclear is China’s only hope for de-coalifying its electricity sector while fighting CO2 as well as the NOx and SOx that are choking its cities. The Advanced Fuel CANDU is a huge positive synergistic development for both China and Canada: if it proves successful then there is serious potential for the expansion of the role of Canadian nuclear technology in China. The core of the mighty CANDU, Canada’s biggest-ever technological success story. 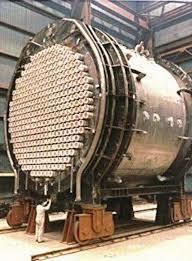 Fuel is contained in hundreds of individual pressure tubes running horizontally through the cylindrical calandria. The individual horizontal tubes, holding unenriched uranium, sitting in a calandria full of heavy water moderator—all do away with the need for heavy forging capability and enrichment technology. For this reason, they represent a brilliant end-run around early American efforts to dominate global nuclear power. Canada could, with strong cooperation in nuclear power based on the CANDU, thereby play a major role in helping China achieve a position of dominance in the cryptocurrency that many are beginning to predict will be the future of world money. Imagine: blocks being solved by Chinese miners running on clean nuclear power from Canadian-designed reactors running on recycled and reprocessed fuel. Now that’s a clean blockchain. That is, until Canada gets its own act together and stops listening to green activists who demand that electricity get more and more expensive so that their fossil-fuel benefactors can continue greenwashing their way to ever higher sales and profits. 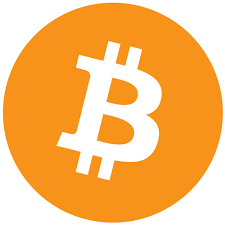 Because with cheap clean electricity, made in reactors we designed, running on Canadian uranium, we can play the Bitcoin game too. ← Green energy, the Green Party, and Germany’s governance crisis: the McGuinty Syndrome? Bitcoin seems to be running into problems. Game site Steam no longer accepts it because of high volatility and sky-high transaction fees. It’s sobering to realize that if you’d thrown $100 into Bitcoin a few years ago you could cash out and retire now, though. Let the bigger fools be on the ride when it goes off the rails. I don’t blame them for being nervous, that’s some volatility. Most upward, which spells bubble to lots of people. Still quite a phenomenon. I wonder how much of the nervousness has to do with the novelty of the currency, or the mystery about who created it, or the fact that SHA256 was developed by the NSA.